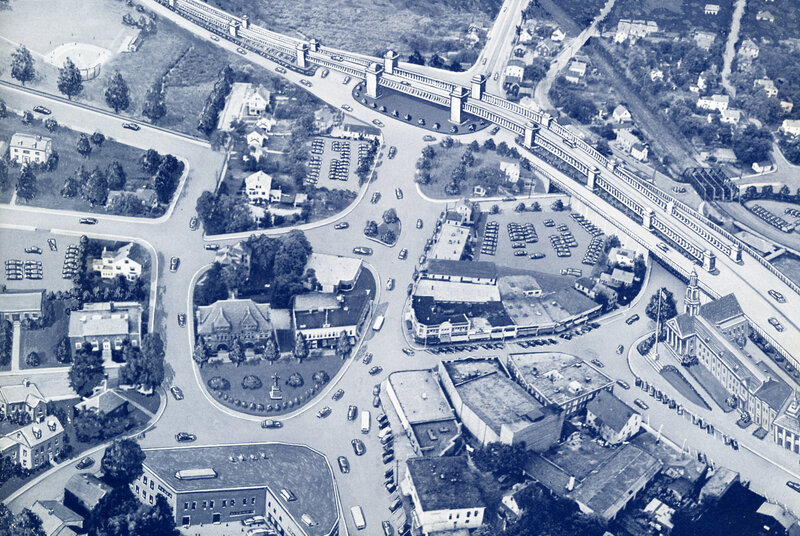 An interesting proposal that makes the square much less pedestrian friendly than it is today; the Dedham Institution for Savings and the K of C Building or now pretty much on an island. And I wonder what the monument in front of the bank might have been- it actually looks like a cross. Notice too, how traffic hasn’t really increased much. But Dedham did follow through on one aspect of the plan that had been a top priority for many years- the construction of a new town hall. It’s too bad that the historic Dedham granite 1868 Memorial Hall had to be sacrificed to achieve that. More on that building to come on this Memorial Day weekend. This entry was posted on May 28, 2010 at 4:20 pm and is filed under Lost Dedham. You can subscribe via RSS 2.0 feed to this post's comments. You can comment below, or link to this permanent URL from your own site. That proposed plan is sheer insanity. 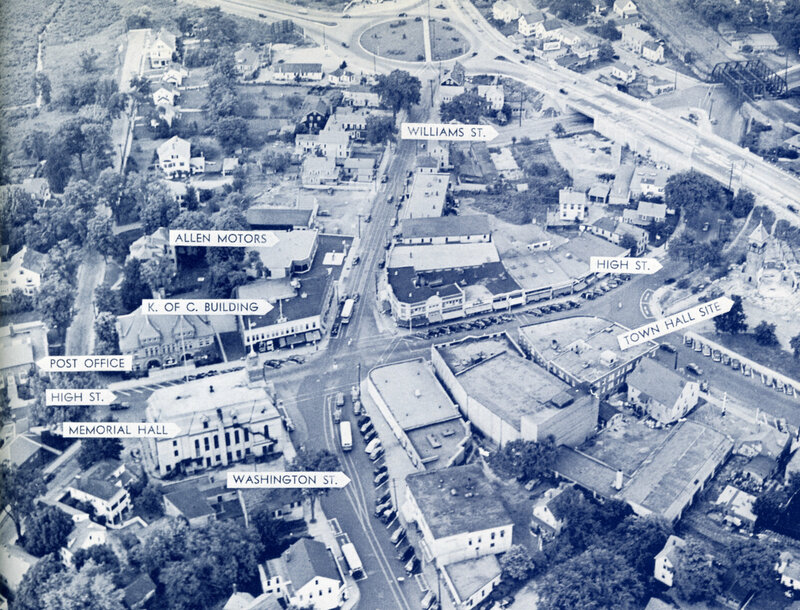 They did have a much better plan for East Dedham Square (Hartnett Square) than the one that was carried out which pretty much erased all character from that part of town. Great shots of the square. It’s amazing how similar, minus the train stations and RR bridge, it looks. Can you post any views that show the RR tracks passing under East and Washington Streets as shown in the ‘proposed’ view shows?